It’s important to remember that Whizz stands on the shoulders of giants. One of those giants, Seymour Papert, passed away this past Sunday 31st of July 2016 at the age of 88. It is no exaggeration to say that Papert revolutionised the way computers are thought about and used in education. He was a true pioneer of artificial intelligence and dedicated his life to developing technologies that put students at the center of learning. He impacted the lives of millions of children; there’s a good chance your own schooling experience was influenced by his innovations. Papert’s seminal work, Mindstorms, is a must-read for anyone who wants to understand the role of technology in advancing learning and teaching. His main premise was that students learn best when they are active agents in their learning – “the student is the programmer, not the programmed”. 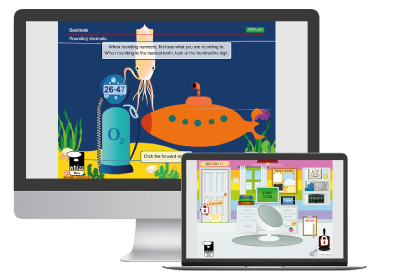 Papert’s micro worlds were also the inspiration for Fractions Lab, the exploratory learning environment developed as part of the EU-funded iTalk2Learn project that Whizz was part of. In his poignant follow-up to Mindstorms, Papert lamented the difficulty of bringing about systematic change to education. He applauded the spirit of teachers in embracing technology, but suggested there needs to be closer alignment between those teachers and system administrators. How pertinent his advice, given the challenges Whizz faces today in engendering acceptance of virtual tutoring even at a whole-school level. It’s a shame Papert did not live long enough to see his vision realised, but his legacy is secure in the hands of Whizzers and all those who actively pursue the goal of personalised learning.